Janina Misiewicz, the Program Support Administrator for the Interdisciplinary Studies program at PSU, reflects on the first month of the semester and some new departmental initiatives. Last week, students enrolled in Introduction to Interdisciplinary Studies published a blog post summarizing their learning experience during the semester. Here’s an example of that assignment from Molly Stone’s ePort. Read more to learn about Molly Stone’s experience as an Interdisciplinary Studies major. What’s an ePortfolio and why should a student create one? A brief overview of ePorts and the impact students can make by publicly sharing their scholarly work. 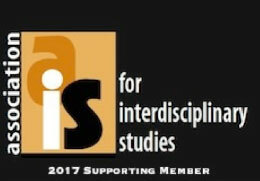 What does the Interdisciplinary Studies program at Plymouth State University offer its students? Mariah Davis investigated this question by speaking to Robin DeRosa, the Director of the program, and current students about the role of interdisciplinarity in modern education, and more specifically, at Plymouth State University. Mariah Davis recently sat down with Katherine DeLuca, a Plymouth State University alumni, and discussed Heather’s experience at PSU, what she’s been up to since graduating, and how Interdisciplinary Studies has impacted her life. The Interdisciplinary Studies department is proud to announce that we have opened a food pantry for students in need. Funded by the Student Support Foundation and personal donations, the food pantry is now open for business.